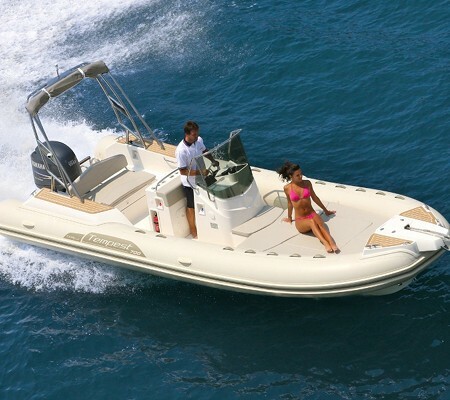 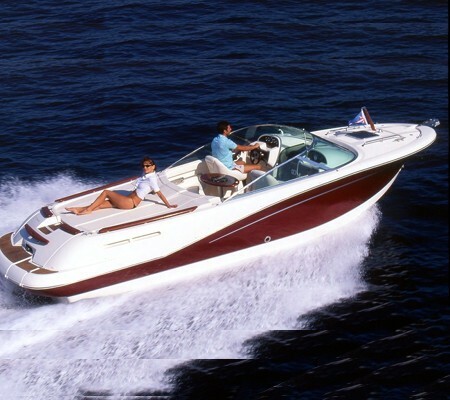 Dream Yaching offers a large fleet of recent boats (inflatable boats, open boats, cabin cruisers, runabouts,etc...). 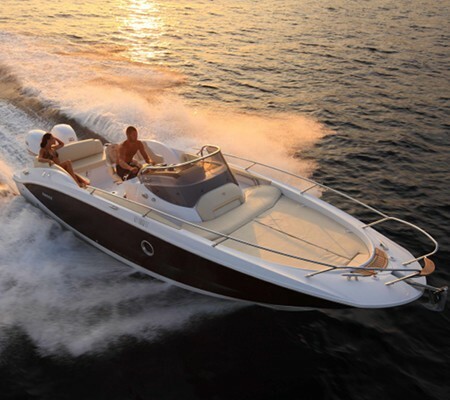 All our boats are perfectly maintained by our professional team. 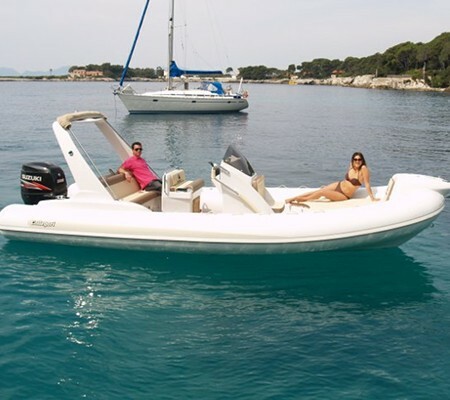 Thanks to the perfect location of our boats in Juan les Pins and Golfe-Juan, you will be able to reach the most beautiful sites of the French Riviera (Cap d'Antibes, Lerins Islands, Cannes, Massis de l'Estérel) in a few minutes. 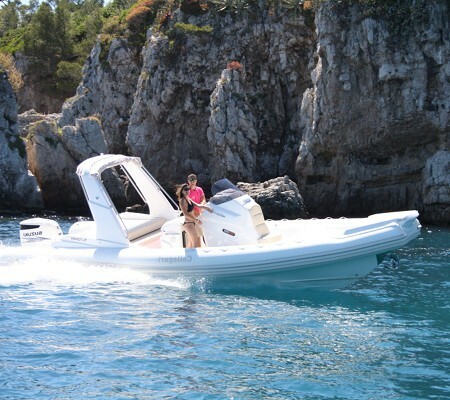 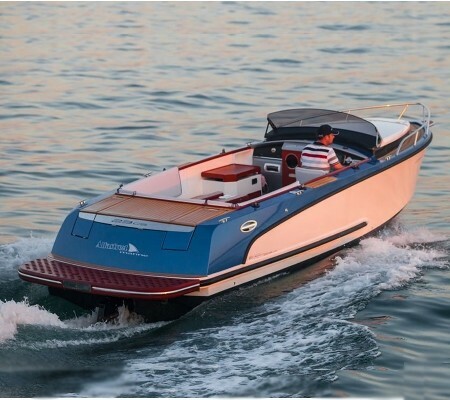 You will need a boat license to sail most of the Dream yachting boats; nevertheless, for those who do not have a boat license, we propose small dinghies with lower engine power (ideal for a visit to the Lerins Islands and the Cap d'Antibes). 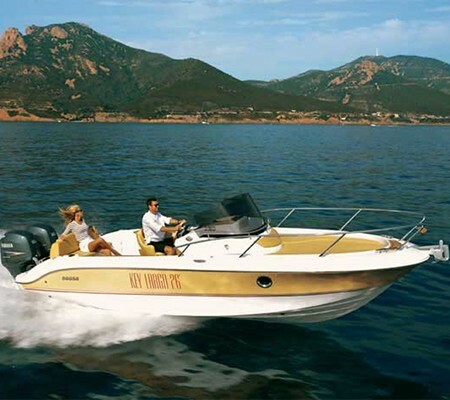 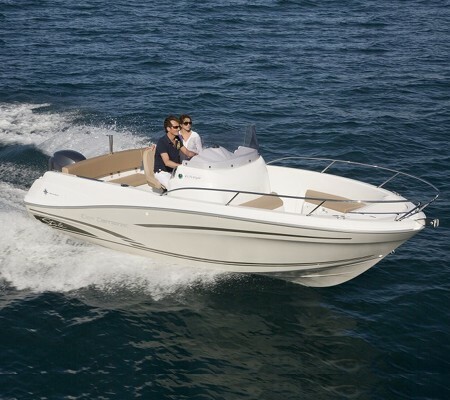 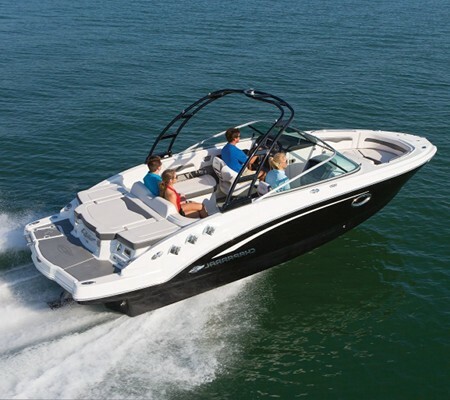 It is also possible to rent bigger boats with a skipper, if you do not possess a boat license.